The Ladies 1s are continuing their awesomeness. We came out in force today with a strong squad of 13 against Teddington who are 3rd in the league. The match was tight throughout the 70 minutes with each team fighting for goal. Our strong defence, featuring the joint MoTMs Charlotte Ellingham and Freya S meant Teds barely had a shot on target, and when they did it was cleanly cleared away from goal. The forwards were making great runs and keeping up the pressure but unfortunately couldn’t convert. The match ended 0-0. A clean sheet for the team and really well deserved point! We frustrated Teds who were disappointed not to score against us, as we managed to keep our cool, drive and positivity throughout the afternoon. Shout outs go to Tish for being in the right place all the time and Gemma Gatting for another strong and supportive day in defence. 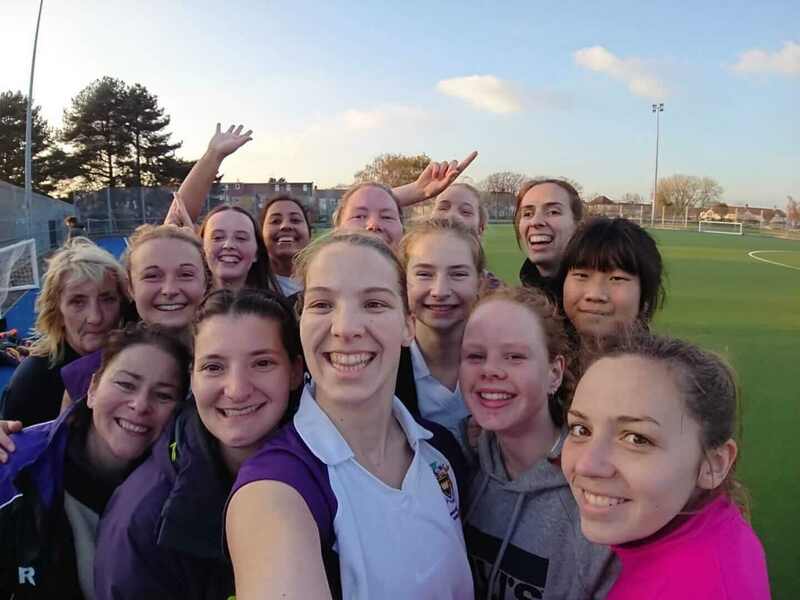 After the success of a 6-2 win in their last match, the ladies 2’s came out with a reputation to uphold. The match started with Lucky Charlotte (having not warmed up) running on from the sideline as the whistle blew and stepping onto the ball – a questionable first touch and start to the game! But the ladies soon got into their great game play with quick runs and passing down the wings converting yet another goal from Abi (watch out ladies 1’s- top goal scorer this year?). There is also potential yet for Lisa Jobson with a hit towards the goal rebounding off the post panicking BA Hayes goalie. Erin snuck one past the goalie making the final score 2-0. A special mention to Debs making her debut in goal and keeping a clean sheet and Anju Jacob being in the right place at the right time! Well done ladies, bring on next week! The Men’s 2s slipped to a 3-0 defeat away at Stevenage in a tough game with several key players missing. A disappointing first half (2-0) was turned around in the second with Winchmore pressing and keeping Stevenage under pressure in their own half. However, we just couldn’t find a goal to swing the game in our favour and Stevenage scored a third to run out comfortable winners. A great performance from the team, however Shefford & Sandy scored with pretty much their only shot of the game to take the points. Not the result we wanted or deserved, but lots of positives to build on for next week. 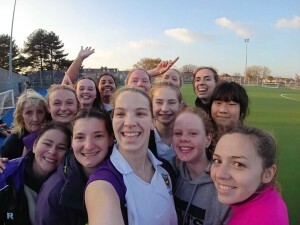 ‹ Week 8: The ladies 1s are awesome!